It has been just over a month now since I returned home to Adelaide. Looking back, it's crazy to think about how long the build up to the Rio Olympics seemed from 2012 to now, and then when the time arrived it flew past so quickly. 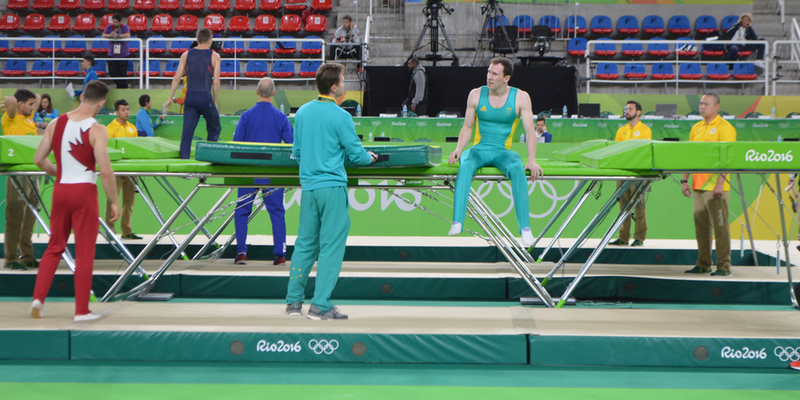 I’m currently having mixed emotions about the Olympic Games; I reflect and can appreciate the entire experience, I feel honoured that I have been able to represent Australia on the biggest sporting stage in the World for a second time, but, for me something was missing. I went into London 2012 and Rio 2016 with completely different approaches and with that, was looking for different outcomes. I often think about what the difference was between the two but I'm not sure I could correctly articulate what that is. It has taken four years to truly appreciate and reminisce on the intensity and excitement that was the London Olympics. I think this is largely because as an athlete to go through such a huge whirlwind experience, reflecting on that two weeks isn’t the entirety of the story. The Olympics is an experience that slowly culminates over years of training, competing and travel. Emotionally, physically and mentally, my personal journey for Rio, truly was a four year one that finished inside a two-week wonderland. For me specifically; a 2-hour event, involving about a minute’s worth of routines in which I get to show the world and judges 14 years of hard work. To reflect on this build-up in just a few minutes would be an injustice to the efforts of myself and those around. I can however, try and give you a small snapshot of the ridiculous nature that is the Olympics. Ridiculous not in a negative way… quite the opposite! Arriving into the village was an exciting moment. Walking into my room and seeing the Olympic Bed Cover, with a bag sitting on top of it filled with goodies, and arguably the most exciting thing, a customised vegemite tube with my name on it was special. I felt instantly nostalgic as it felt like London all over again. I spent the next few days settling into the village by exploring, getting accustomed to the training gym and ensuring I settled into my new home for the next few weeks. The village was high rise, and as you walked around you saw buildings covered in multiple countries’ flags and banners all proudly claiming their spots and patriot-ingly showing the world who was there. Australia was no different with large green and gold banners up and down the outside of the building. Before the competition I didn’t want to get too caught up in activities and distractions so I only made it to support my fellow team mates in one sport, and overall kept pretty quiet. Except when an opportunity arose a few days before the Opening Ceremony to go on a helicopter ride around Rio. I couldn’t say no, and so I found myself with a few other athletes, hundreds of metres in the air, sitting in a 4 seater chopper flying through the sunny sky looking down on the amazing landscape of Rio de Janeiro. It allowed me to get my bearings and was incredible to be able to see the city from above. If you ever visit Rio I recommend doing a helicopter ride! The next big moment for me was the Opening ceremony. Whilst it wasn’t as intense or exciting as London, it was still an unforgettable moment. Rio had its own unique culture and atmosphere and you couldn’t help but feel excited and happy when you entered the stadium. The Opening Ceremony signifies the beginning of the games and to march in with the Australian team chanting ‘Aussie Aussie Aussie Oi Oi Oi’ at a deafening level, sends a chill down my spine even thinking about it now, I can picture it so vividly. I proudly wore the Medicare styled jacket, alongside my teammates. I knew that while I compete in an individual sport and I was the sole athlete in that sport, I was apart of something much larger. What exactly that is, I still feel like I’m learning. As an athlete you continually grow and learn through competition and involvement in the sport. This competition was no different. When the competition day rolled around on the 13th August, I was mentally ready and excited to get in and get it done. My whole family, along with some friends old and new journeyed, from Australia to support me. Without trying to ramble on, I came 13th the same as London. I guess from an outside perspective it seems like I did the same which isn’t the case. 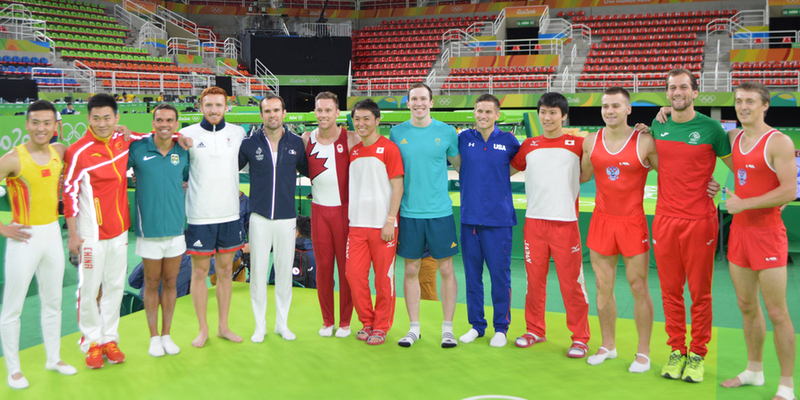 My competition in Rio went pretty well, I nailed my first routine and performed an arguably solid second one. I got in a tough situation and drew on my experience from London to compose myself and finish off the routine. Something I wasn't able to do four years ago. The level and competition in Rio was extremely high and to make a final I needed to nail the second one. I guess for me the competition itself was something that didn’t go to plan. 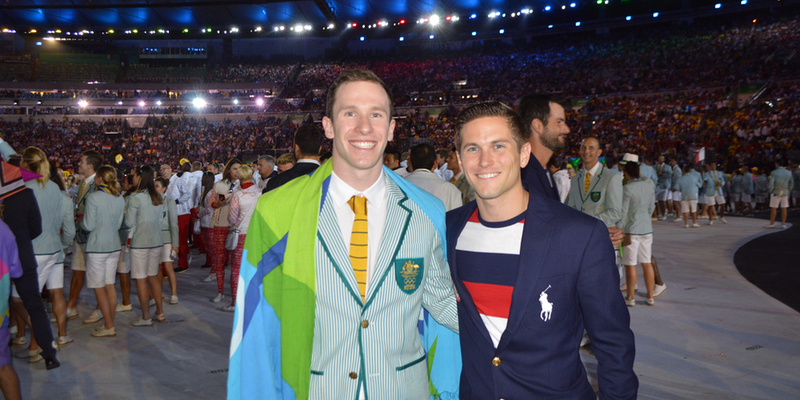 My Olympic experience didn’t conclude with the competition, I stayed inside the village until the Closing Ceremony and so had the opportunity to relax, support other Australians, spend time with family and friends in Rio and just enjoy what the city and the Games had to offer. I could now pig out, be lazy and just enjoy the much needed down time I haven't had in four years. Since getting home, I had the honour of attending a couple of Welcome Home Parades in Sydney and Adelaide, and have been resting up, attending rehab to overcome some injuries I had from earlier in the year. Without any immediate competitions coming up I have time to get my body right and rested before I step into my next challenge!